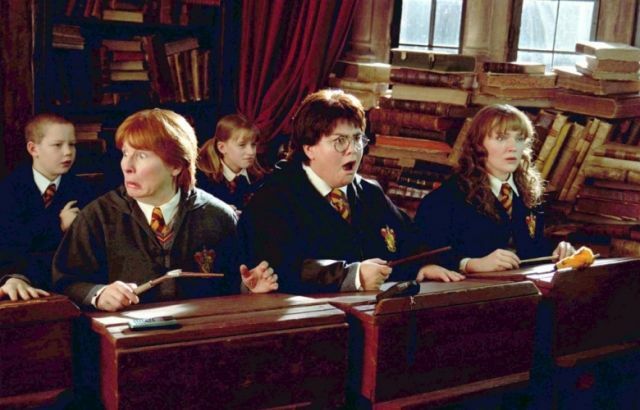 2003’s UK fundraiser performed a spoof story entitled “Harry Potter and the Secret Chamberpot of Azerbaijan” that featured Dawn French, Jennifer Saunders, Miranda Richardson, Jeremy Irons, Alison Steadman and Ronnie Corbett, with the sketch being preceded by a message from JK Rowling. French and Richardson would later star in several of the real Harry Potter films. With so much star power, this spoof didn’t see a whole lot of attention outside of the UK, but that’s not to say it’s not worth searching out. This entry was posted in Humor, Just Because, Messin' with my kids, The Geeks Shall Inherit the Earth and tagged BBC, Comic Relief, Dawn French, French and Saunders, Harry Potter, Harry Potter Spoof, Hermione Grainger, Jennifer Saunders, Jeremy Irons, Lindsay Lohan, Miranda Richardson, Saturday Night Live, SNL, The Secret Chamberpot of Azerbaijan. Bookmark the permalink. Glad you liked it! I love Dawn French and Jennifer Saunders – they are both such talented and versatile ladies. I don’t hate straight people – they are fine in their place, As long as they don’t get all uppity and flaunt their straightness the way some do. If they would just keep that yucky stuff in the bedroom they’d be fine.